Last edited by codguy on September 15th 2018, 1:07pm, edited 2 times in total. One of the best - if not the best - service pistols out there...and in stainless too! Congrats on what you may or may not have purchased! Super!! Id love that one. Too bad I lost all my handguns in a tragic boating accident. Arrived at Casa D'codguy yesterday. Currently own three versions of this platform (though the little lady sorta laid claims to the Compact she bought me for Christmas). I'm done purchasing firearms as I am wartches, have enough to tie me over during impending retirement part deux.................. and death do us part. Next on the list is a new set of "shoes" for this one. Having yet another custom holster hand-made/hand-stitched by a particular retired gentleman in Arizona. Waste all the bandwidth you need! Congrats codguy, I have yet to try that brand, but it czech's all the boxes. Fire them bad boi's in good health. That compact is talking to me. 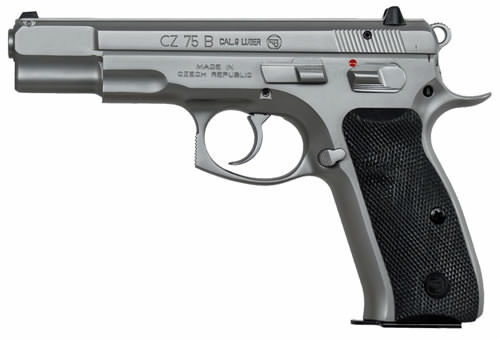 The Czechs sure know how to make a good-looking gun. 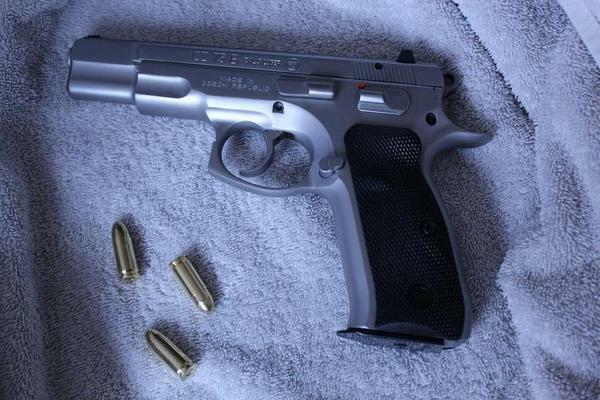 It's got a bit of Browning Hi-Power elegance to it.